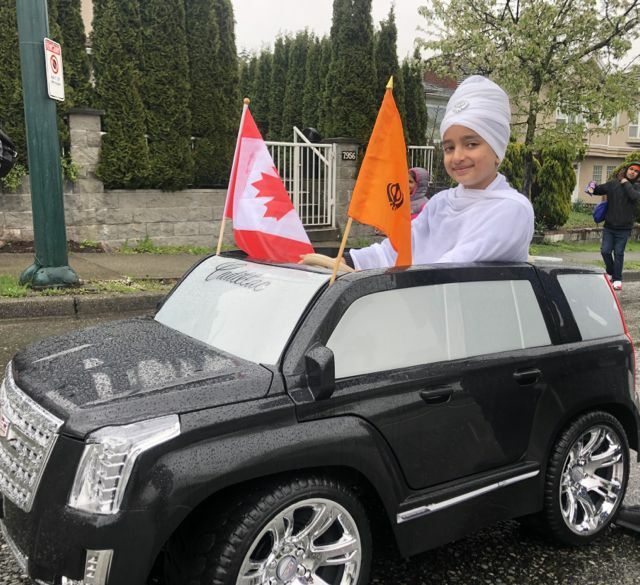 Vancouver’s annual Vaisakhi parade packed the streets of south Vancouver today, and this year’s celebration had two very notable names in the form of Prime Minister Justin Trudeau and Defence Minister Harjit Sajjan. 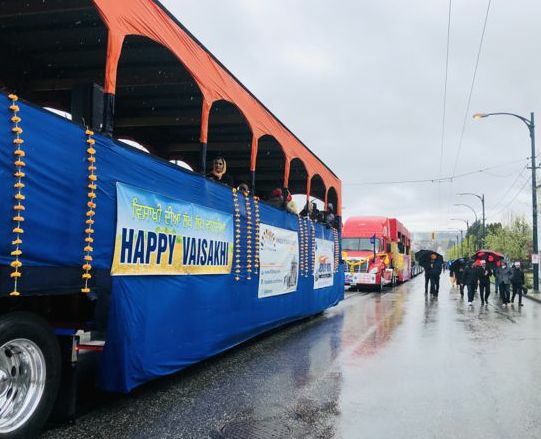 Thousands braved the rainy weather to attend this year’s parade, and among the attendees were the PM and Sajjan, joined by Surrey Member of Parliament Sukh Dhaliwal. 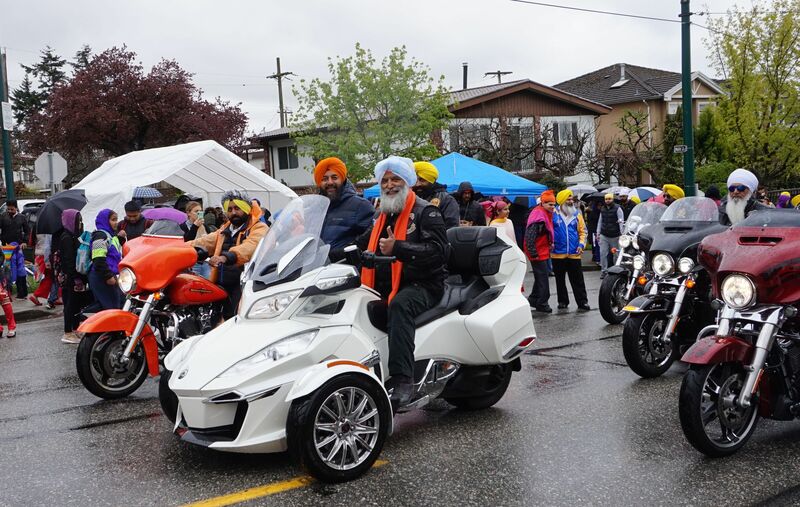 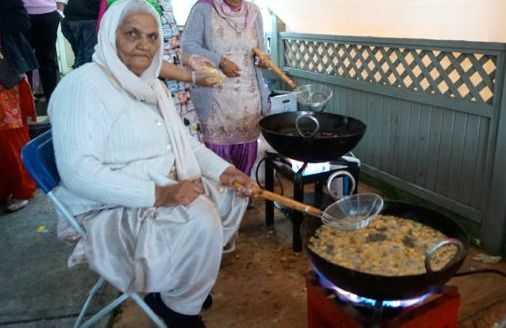 For Sikhs in BC and around the world, Vaisakhi is a religious celebration. 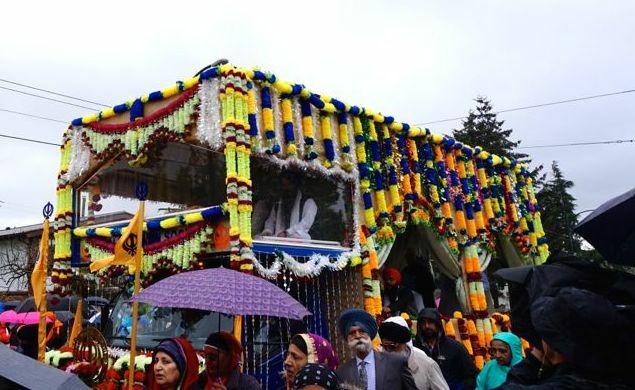 The holy day commemorates the birth or establishment of Khalsa by Guru Gobind Singh Ji, the tenth Sikh Guru, in 1699. 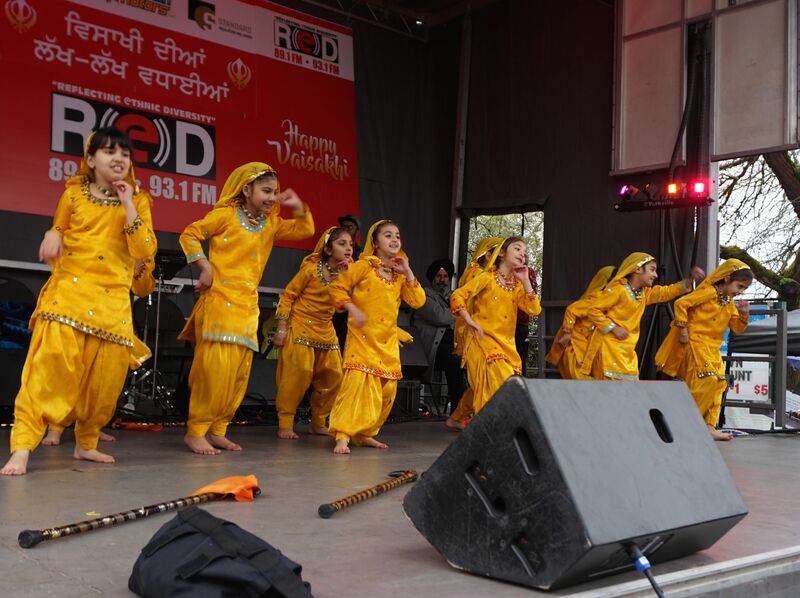 The PM and defence minister smiled and waved to the crowd before Trudeau delivered a speech, where he was met with a warm welcome as he addressed the crowd at the Punjabi Market main stage. 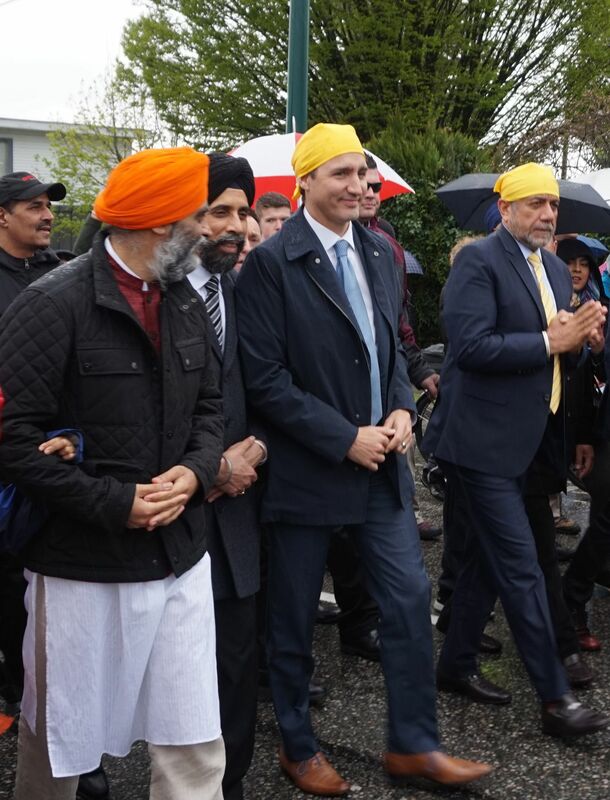 In his remarks the PM praised the Sikh community for its values of “equality and social justice,” and noted its long history in Canada. 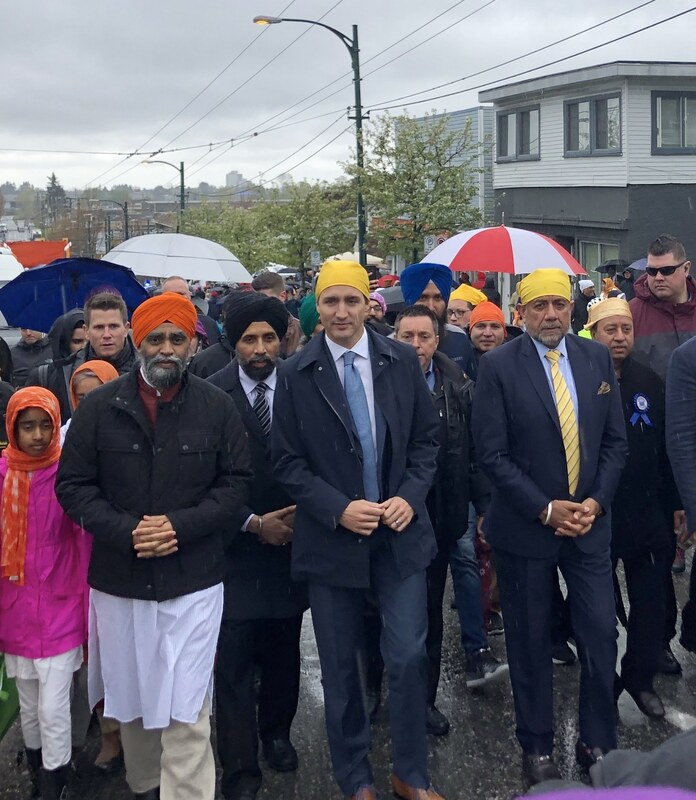 “As we celebrate Vaisakhi, let us also celebrate all the incredible contributions of this community,” the PM said after walking in the parade. 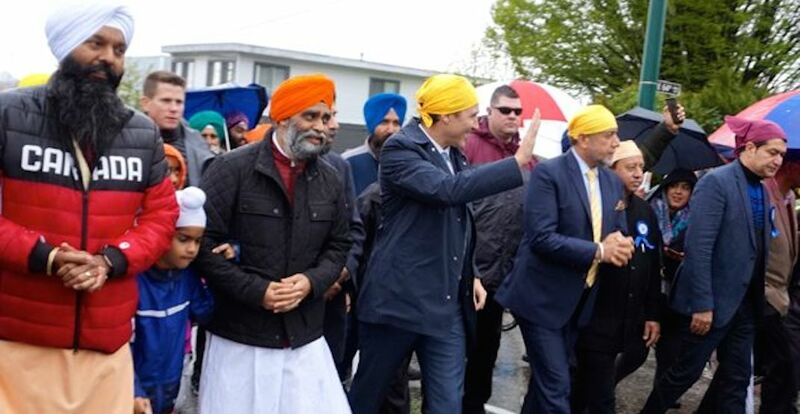 His participation in the parade and his remarks came just a day after the federal government removed a reference to Sikh extremism from The 2018 Public Report on the Terrorism Threat to Canada. 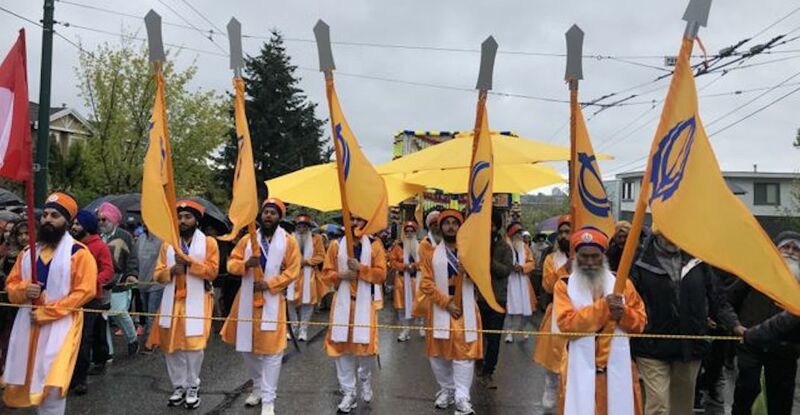 The parade was a celebration of culture and religion and featured a large number of floats, community performers live music, and lots of free vegetarian food for any and all attendees.